The two sons of Vespasian Titus and Domitian (ruled 79 – 81 AD, and 81 – 96 AD respectively) could not have been more different as emperors. Although Titus had a reputation for ruthlessness, he would prove to be a fair ruler. His brother Domitian, however, returned Rome to tyranny and fear. Vespasian’s eldest son, Titus, was already a successful politician and general before his father became emperor. He had seen action in Britain and commanded a legion in Judaea under his father. When Nero died, Titus had actively encouraged his father to claim the throne. When Vespasian left Judaea to march on Italy, he left Titus in charge of his campaign against the Jewish rebels. Here Titus proved his abilities. He successfully crushed the rebels and, in 70 AD, captured and destroyed the temple in Jerusalem. When he returned home to Rome, he was made commander of the Praetorian Guard. 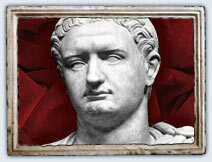 He led the military arm of Vespasian’s dictatorship and was effectively head of state. This role, along with his reputation for ruthlessness, did nothing for his popularity. His relationship with his mistress Berenice, a Jewish princess, didn’t help. Romans remembered Marc Antony and Cleopatra and they were not prepared for another marriage to Eastern royalty. Given the bloodshed by which Vespasian had gained the throne and Titus’ own reputation, Romans had good reason to fear this succession. But there was no need. Power was handed over peacefully and Titus was a surprisingly good ruler. Good-looking, cultivated and friendly, Titus was a calm and fair emperor. Much of his popularity was won through his generosity. This included financial aid after the eruption of Vesuvius in 79 AD and reconstruction work in Rome after a fire the following year. He also completed work on the Colosseum and opened it with 100 days of games, wisely using this to calm the Roman mob during a time of economic hardship. Against all expectations, Titus was a benevolent ruler. However, his reign was short-lived – just two years after he took the throne, he was dead. Rome now faced a very different dictator. 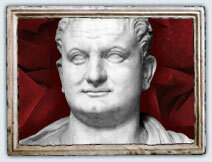 Domitian, Vespasian’s youngest son, was already known for wild excess. In 70 AD, his actions during military service in Germany had required a pardon from his father. It was even rumored that he had helped speed his brother Titus towards his death. As emperor, Domitian was hated by the Roman aristocracy, largely because of his cruelty and showiness. He insisted on being addressed as “master and god.” He held games every four years, as the Greeks did. He would attend these in Greek dress and a golden crown. His fellow judges had to wear crowns that featured images of the gods and Domitian himself. A revolt in Germany in 89 AD was put down with extreme brutality; in Rome, this was used as an excuse to terrorize senators and other leading figures. Proving himself every bit as bad as Nero and Caligula, Domitian launched treason trials, and executed or banished even his mildest critics. Domitian had wisely given the army a large pay rise in 84 AD and this certainly helped secure his position. But it was not enough. In 96 AD, he was murdered by a group that included senior Praetorian Guards, palace officials and even the emperor’s own wife. The army was furious, but Rome was happy enough. The latest in a long line of tyrants had also been deposed.